Garage Raid they said, let’s organise a garage raid, all of them looking at me at the same time. I was pretty keen actually as I’d never organised one before. It all seemed fairly straight forward…so I asked around and found some leads to car collections. Some of these leads turned out to be blind alleys and for a variety of reasons it just wouldn’t come together. So much for being straight forward! However just when I thought it wouldn’t happen, one day, in the space of a few hours, it did. Sunday 16th September, Garage Raid day. 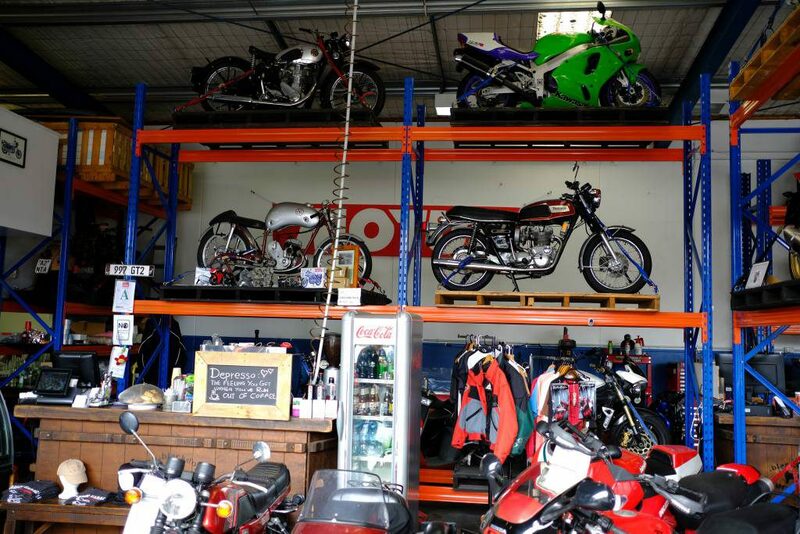 First port of call was Carbon Garage on Quay St, owned by recently joined Club members Rob and Tracy Alloway. When Barb and I rolled up early at 9.20 there were already ten Mercedes there and about twice as many Club members. 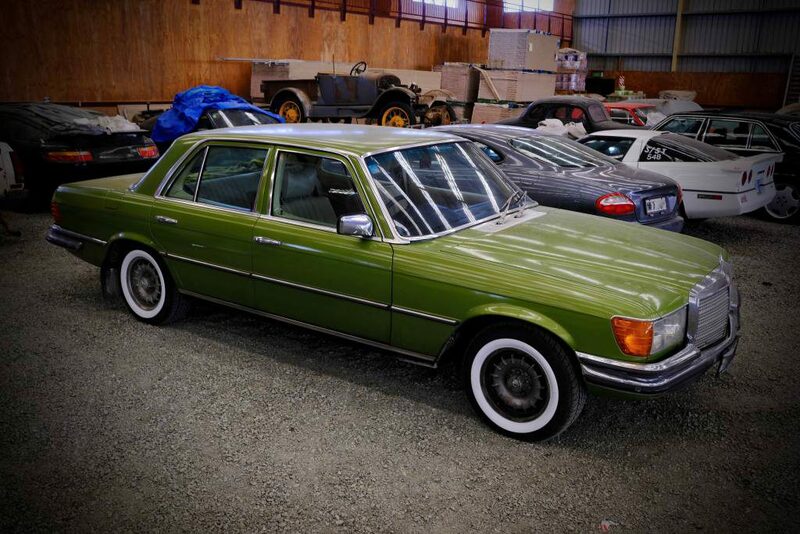 More and more Mercs arrived in a steady stream until the carpark was overflowing with gleaming three pointed star cars. I looked at Barb and said “Oh god, what have I done”. Vastly under estimated the numbers, that’s what. And what a cracking turnout! Poor Tracy was a blur behind the coffee machine cranking out flat whites, lattes and the rest. Rob was out amongst the throng answering all manner of queries regarding his amazing collection of motorbikes. Jim Manoah in particular was in his element, himself being a keen motorcyclist. 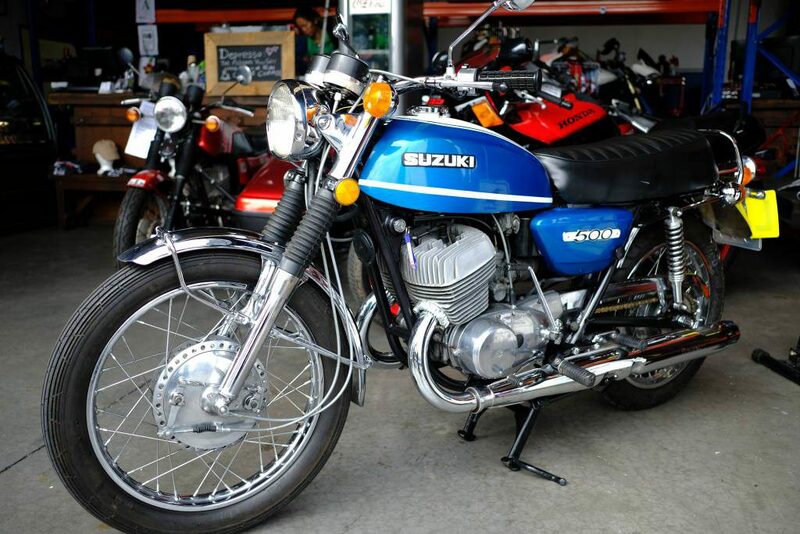 He was heard to say that the beautiful blue Suzuki 500 was the first motorbike model he’d done 100 mph on. Thanks Rob and Tracy for allowing the club to use Carbon Garage as the meeting point and your offer of hosting the club again in the future. 10.30 rolled around quickly and it was time to head off to the second collection of the day. Part of the agreement behind the Club being allowed to view this collection was that it was to be kept private. All I can say is that it was a stunning collection of European royalty, all kept in beautiful condition in a pristine environment. 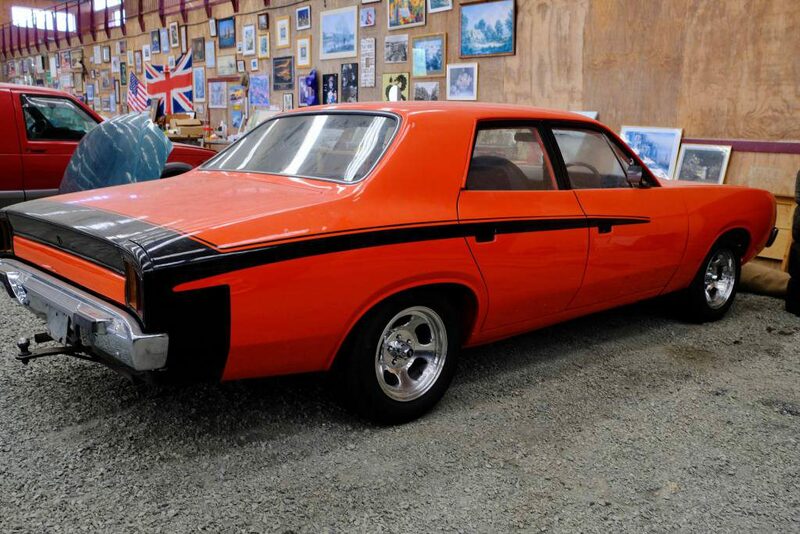 Gaining access to a collection like this is just one of the great benefits of joining a car club like ours. I’d ask that no photos taken at this collection be used on any social media as per the owners request. A special thanks to Secret Agents E and S for their hospitality and generosity. Next on the agenda was a quick jaunt down the southern motorway, grabbing lunch on the run, to our next collection. I described this collection as eclectic in the Garage Raid advert, many members came up to me and said that the description was perfect. It was interesting to see the look on peoples’ faces as they entered the oversized doors to this ‘garage’ for the first time, and saw the array of randomly parked vehicles. People unwittingly spoke in hushed tones, as if in a grand cathedral. 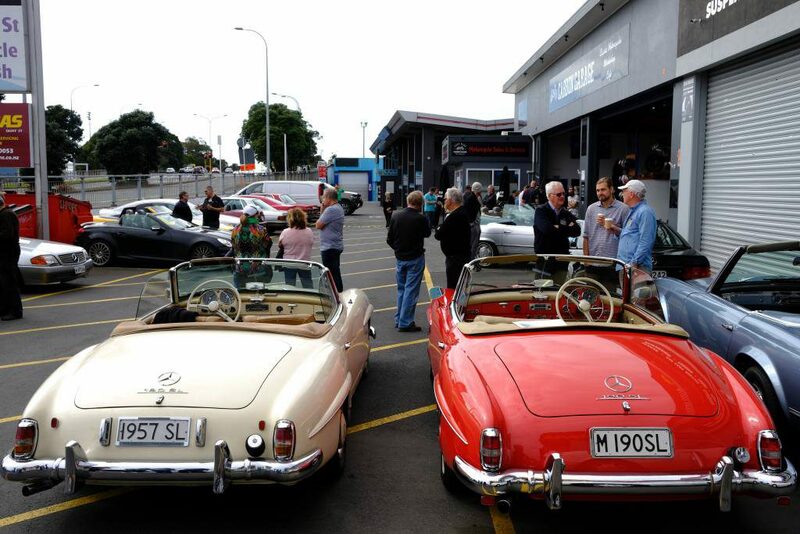 One hundred cars was a lot to take in – Australian, American, English, German and Japanese. Sports cars, sedans, trucks and utes. From the pristine to the preserved, from the perfect to those of a certain patina, all of them loved and lovingly kept. Graham, our host, was in hot demand with the many questions members had about individual cars and the collection as a whole. He was a mine of information about each and every car in his collection and everybody seemed to leave with a favourite. Thanks Graham for your enthusiasm and knowledge and for allowing us into your ‘garage’. So that was my first garage raid done and dusted. 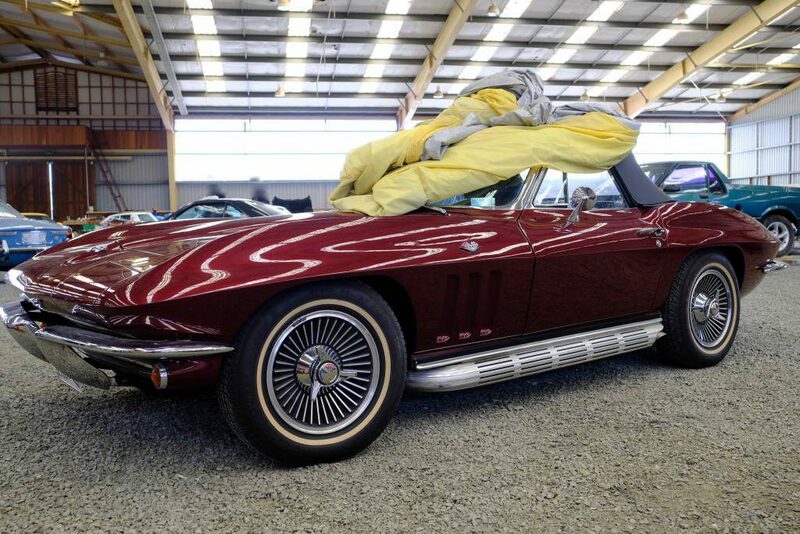 It was interesting to see different styles of car collecting, not everyone wants to spend hundreds of thousands of dollars on cars and to keep them in pristine condition, in a perfect environment. I hope everybody enjoyed the day as much as I did. One of the great results of the day was that I now have more car collection leads gleaned from some of the garage raiders.